The University of Toronto developed the TEFL Online curriculum, but the program is actually run by the recruitment agency Teach Away. OnTESOL offers better training in the areas of tutor support, mode of assessment, Practicum, and job opportunities. Get better training and qualify for the best jobs with an accredited course by OnTESOL! The University of Toronto will not assign you a tutor. The TEFL Online courses are administered by the recruitment agency Teach Away. Trainees simply send assignments and receive the TEFL certificate without getting any professional feedback on their performance. All our courses come with professional tutor support. Your OnTESOL tutor is available to answer your questions and provide feedback on every assignment. All our tutors have been approved by TESL Canada. Those who take the Practicum module also receive extensive support and feedback on their lessons. 2- Get Better Training with OnTESOL! TEFL Online by the University of Toronto does not assess trainees via lesson plan assignments. All their courses assess trainees via reflective journals and tests only. OnTESOL will assess you via a combination of essays, tests, creative activities, and full lesson plans. Our advanced 120-hour course follows the standard set by the CELTA course and it will teach you how to write full lesson plans using the Communicative Approach and the PPP format. Our top course is the 250-hour TESOL Diploma, which covers various approaches and formats to provide trainees with an excellent foundation for a successful career in curriculum development and management. 3- Complete a Practicum with OnTESOL! Those who complete the Advanced 120-hour TESOL Certificate program can complete a 20-hour Practicum after the online course. Those who complete the 250-hour TESOL Diploma program can complete a 50-hour Practicum. 4- Qualify for Better Jobs with OnTESOL! The TEFL Online courses by UofT are valid for entry-level jobs in Asia and Latin America. Some schools in Europe may accept this TEFL certificate. TEFL Online is not accepted in Canada or for professional jobs that require CELTA certification or equivalent (Ei: TESL Canada or Trinity CertTESOL). OnTESOL offers advanced TEFL / TESOL courses for professional jobs worldwide. 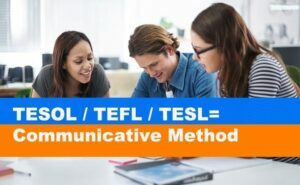 The advanced courses offered by OnTESOL are recognized by TESL Canada, which accreditation is required in Canada and widely accepted all over the world. You will also receive free job placement assistance in the top destinations. FAQ 2: Is there a difference between TEFL and TESOL? FAQ 2: How Does The Online Course by OnTESOL Work?